// What Constitutes Stalking in The State of New York? 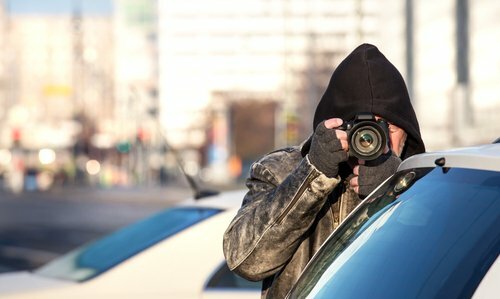 What Constitutes Stalking in The State of New York? Stalking cases are often confusing for the accused. In many cases, it’s hard to conceive of how the actions that resulted in your stalking charge could have frightened the alleged victim. It should also be mentioned that what may ‘frighten’ an alleged victim can be a very wide range of actions, and this can make what promises to be an emotional case even more confusing for the accused. Stalking is recognized as a crime in all fifty states in this nation, and obviously, New York is no different. It is also a very serious accusation to have leveled at you, no matter what classification of stalking you’re being accused of. There are four classifications of stalking in the state of New York; two of these are considered misdemeanors, and the other two are felonies. All four are considered criminal in nature, however; as this is the case, if you are ever accused of stalking, it would be wise to seek the counsel of a defense attorney with some knowledge of such cases. Is likely to cause such person to reasonably fear that his or her employment, business or career is threatened, where such conduct consists of appearing, telephoning or initiating communication or contact at such person’s place of employment or business, and the actor was previously clearly informed to cease that conduct. To put this simply, stalking is repeated conduct that creates, in the mind of the accuser, a credible threat of harm, be it physical harm to themselves, physical harm to acquaintances, or even harm to their career or business. Stalking in the 3rd degree consists of all the elements of stalking in the 4th degree, but with 3 or more victims or with the victim having a reasonable fear of physical harm or serious bodily injury. Stalking in the 2nd degree consists of all the above, as well as a weapon being used in the commission of the stalking, or a 2nd conviction within 5 years, or if the victim is 14 and under and the actor is 21 or older. Stalking in the 1st degree is any stalking as described above that includes physical injury to the victim, inflicted recklessly or intentionally. People who are accused of stalking in New York will also often find a restraining order being filed against them (sometimes, these restraining orders are called ‘orders of protection’). A second accusation of stalking, especially within five years of the first, can make things much worse for you in court, and where sentencing is concerned. One of the consequences that cannot be quantified when it comes to a stalking charge is the damage that will be done to your reputation. This damage may be done simply by the accusation, but it will be much worse with a conviction. This kind of damage can impact the rest of your life, making it hard to find work, and the stigma of the conviction is a serious problem. This is just another reason to seek expert legal counsel in the event of an accusation. Although cyberstalking is not explicitly mentioned in New York law as it currently exists, it can be argued to be covered under existing laws concerning stalking in New York. For example, if you look at the text of PEN § 120.45 that is posted above, you will see that it mentions ‘initiating communication’, and it can be argued that email, messenger applications, and other internet means of communication do fall under that definition. Over the last several years, the New York Senate has passed legislation to strengthen stalking law. To date, none have passed in the House of Representatives to become law. In June of 2016, New York Senate bill S448 passed the senate yet again, saying that stalking in the 4th degree should now be prosecuted and sentenced as a Class A misdemeanor, stalking in the 3rd degree should be a Class E felony, stalking in the 2nd degree should be a Class D Felony, and stalking in the 1st degree should be a Class C Felony. This makes the penalties more worrisome, especially when you realize that in the case of New York, a conviction for a Class C Felony can involve up to fifteen years in prison! So, if you’re in New York, and you find yourself being accused of stalking, whatever classification of stalking it may be, contact the law offices of George Vomvolakis at (212)-682-0700 as soon as possible, or online for a free consultation concerning your case and what they can for you.